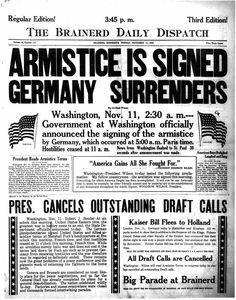 On the 11th hour of the 11th day of the 11th month of 1918, an armistice, or temporary cessation of hostilities, was declared between the Allied nations and Germany in the First World War, then known as “the Great War.” Commemorated as Armistice Day beginning the following year, November 11th became a legal federal holiday in the United States in 1938. In the aftermath of World War II and the Korean War, Armistice Day became Veterans Day in the U.S. (and Remembrance Day in British Commonwealth nations), a holiday dedicated to veterans of all wars. Are these weeks... months... years going by? No, really only days. We see time passing us by in the colorless faces of the dead; we shovel in our food, we run, we throw, we shoot, we kill, we lie around. We are weak and apathetic, and we only endure because there are those who are weaker, more apathetic, and even more helpless, who look wide-eyed on us as Gods, because we have outrun death so many times. Today is the anniversary of Armistice Day, 11 November 1918, when at the 11th hour, of the 11th day, of the 11th month, the First World War came to an end after more than four years of carnage. (Armistice Day became Veterans' Day in 1954.) Described by British historian Corelli Barnett as a war that had "causes but no objectives, "the "Great War" left a legacy of disillusionment in its wake and made a shambles of the rest of the 20th century. All told, there were ten million military dead and seven million civilians killed. The resulting economic collapse, the draconian terms of the Treaty of Versailles (wiki), and the conviction of many Germans that they had been "stabbed in the back" led to an even more destructive rematch only two decades later. One could argue - and I do - that World War I was the greatest misfortune that ever befell Western civilization. It destroyed the West's belief in inevitable human progress. It brought down the Austro-Hungarian, German, Russian, and Ottoman empires, bankrupted France and England, and put the British Empire on the skids. It was the proximate cause of the triumph of Communism in Russia and the formation of the Soviet Union, drove the United States into two decades of international isolation, and instilled in Germany a thirst for revenge that led directly to the rise of the Nazis and World War II. "The war to end war has resulted in a peace to end peace." 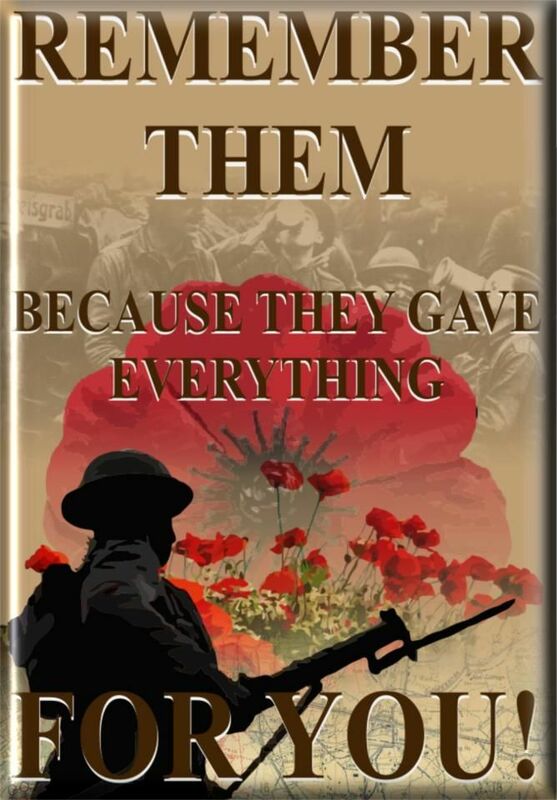 Armistice Day, Remembrance Day and Veterans Day - what's the difference? April 25th is ANZAC Day - the Battle of Gallipoli was 100 years ago. 100 years ago today Austria declared war on Serbia, the first declaration of World War 1. Wilfred Owen, the best of the WWI "War Poets", was born 121 years ago today. Gorgeous set of WW1 posters. June 6 is D-Day: quotes (Shakespeare, Eisenhower, Churchill), videos (footage, FDR's and Reagan's speeches), lots of links. It's V.E. Day: 70 years ago today, World War 2 ended in Europe. Kurt Vonnegut's May 29, 1945 letter home after imprisonment in an underground slaughterhouse (specifically, Slaughterhouse Five) during the Dresden bombing. The assault on Iwo Jima started 70 years ago today: quotes, history, and a documentary. If you're interested in further information on the subject on the First World War, there are hundreds of books and films - the best books I know of (although I'm no expert) are Barbara Tuchman's The Guns of August (which won a Pulitzer back when they meant something) and John Keegan's The First World War. Parts of the text above are adapted from Ed's Quotation of the Day, only available via email - leave your email address in the comments if you'd like to be added to his list. Ed is the author of Hunters and Killers: Volume 1: Anti-Submarine Warfare from 1776 to 1943 and Hunters and Killers: Volume 2: Anti-Submarine Warfare from 1943.